To impart knowledge is instruction, and the Institution where we get instruction is rightly called an Institute. To transform a personality into a nobler shape is the work of a teacher and teachings are imparted in schools. However, we will have to admit, our present day schools are a misnomer and they are at their best only mere institutions. Perhaps, this is the very reason why students of our schools and colleges in present times have no respect and reverence to the teacher, because we meet no ‘teachers’ in these institutes. In short, very few of our temples of learning are really schools and rare indeed are teachers among the innumerable staff. I had been a student of Vivekodayam Boys’ High School, and from my own personal experience, I must admit that if I have fulfilled my life and benefited by education and successfully transformed my personality, the early foundations were laid in the Geeta Classes that I attended in the School, and also due to the religious and spiritual atmosphere that was liberally available in this Gurukula Institution. I am glad to hear that Vivekodayam Samajom is celebrating the Diamond Jubilee of the School this year. 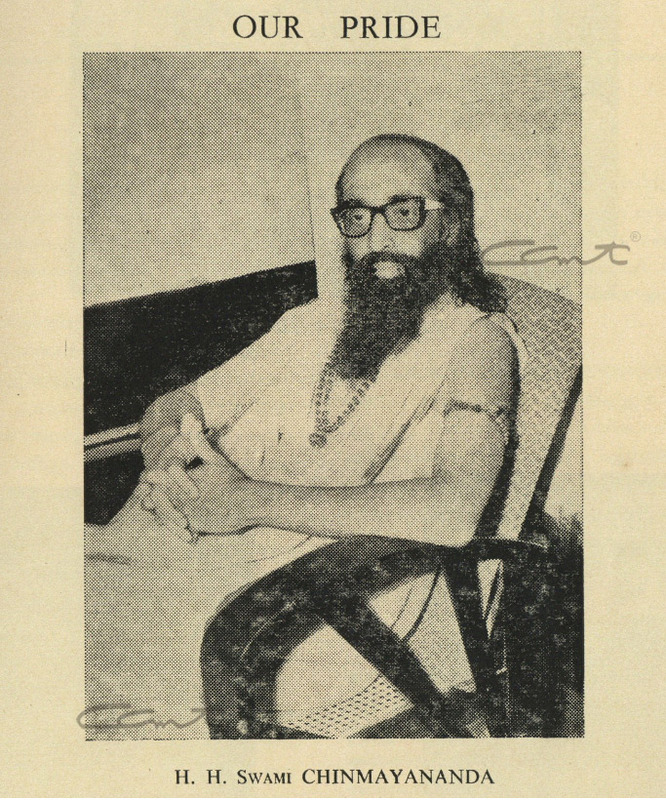 I am sure, the Samajom will realise the sanctity of the old tradition that was inaugurated by great Headmasters like Tyageesananda, and maintain the same atmosphere. 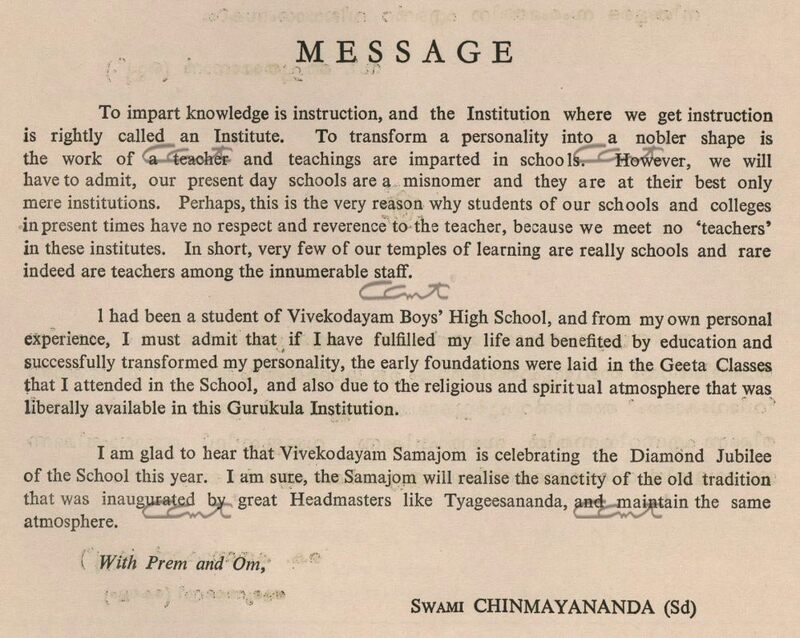 Note: This message was published in the Diamond Jubilee souvenir of Vivekodayam Boys High School.